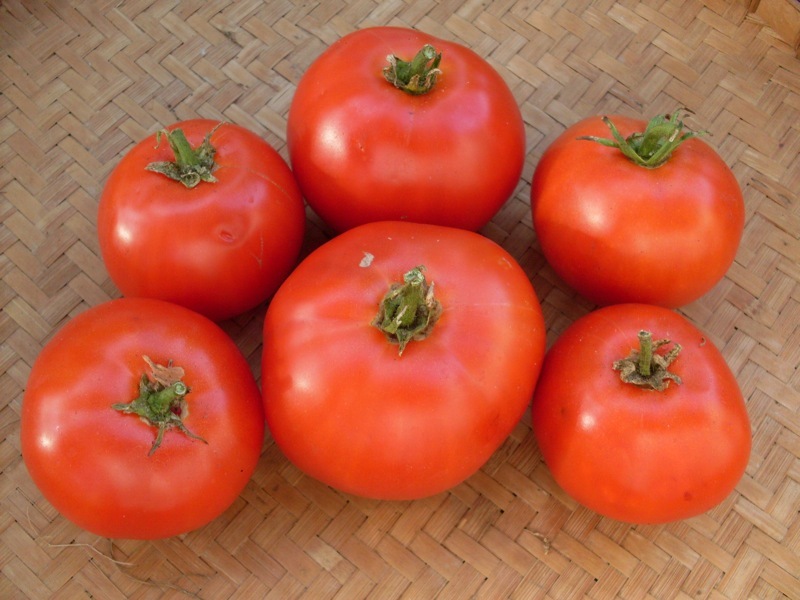 My description on my website: A fantastic old Tuscan Heirloom variety with dark red skin and juicy delicious flesh. Shaped slightly flattened with fluted shoulders. Fruits are typically about 8 ounces, with a smoother shape than the heavily ribbed Costoluto Genovese. The flavor is high in sugar with excellent acid, making for outstanding taste that’s wonderful fresh or made into sauces. Fusarium resistant too! My Notes: These were prolific and most were of a medium size. The taste was pretty good too. I liked to cut their tops off and stuff them with chicken salad. The fluted edges really stood out. Great for cooking and salsa. 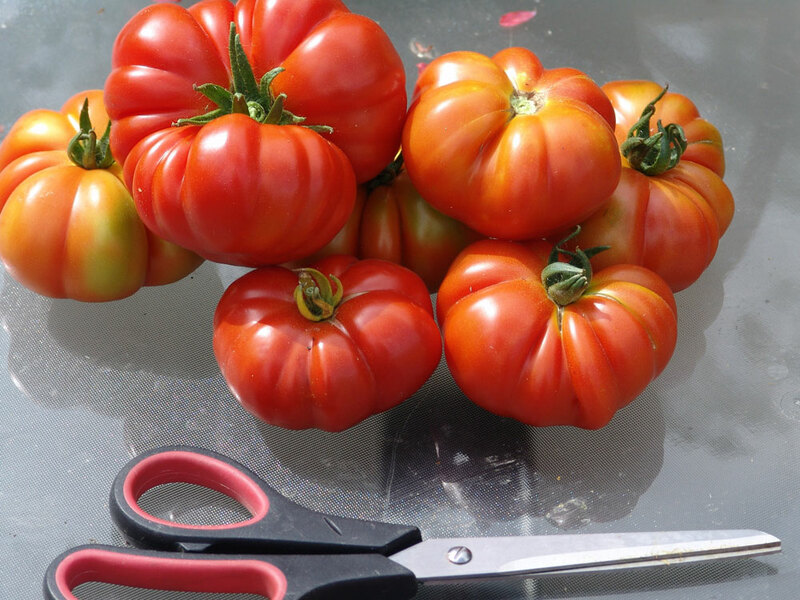 My description on my website: This is one of the largest, earliest red slicing tomatoes available, and it has excellent flavor. Fireworks is an exceptional variety. Its bright red fruit are 6 to 8 ozs., round with a pointed tip, and borne quite heavily on vigorous plants. My Notes: One of the earlies that is an indeterminate and a larger tomato which is unusual for an early tomato. Jetsetter and Siletz are all a good size. I will be growing it in my garden for myself this year. I had so many customers who raved about it’s size and taste that I need to see it for myself! This entry was posted in cooking, gardening, gardens, Tomatoes, Vegetables and tagged early tomatoes, garden, gardening, sweet, tomatoes, vegetables by elzbthc. Bookmark the permalink.